>Monday’s Mistake – can you spot the mistake/s in the picture? >These pictures show two kids riding in their Graco Turbo Booster. Can you identify the TWO mistakes in the girl’s picture and the TWO mistakes in the boy’s picture? Post your answers below – can you spot all three mistakes? I will post the answers on Tuesday. Please note: These photos were not staged. These photos were originally posted by real parents just like you who didn’t know that they were using the booster improperly. 9 out of 10 car seats are used incorrectly – don’t let your child ride at risk. If you are in the NYC or Baltimore areas, email us at info@thecarseatlady.com to schedule a private car seat installation lesson – otherwise, visit www.seatcheck.org to find someone in your area to teach you how to install your seats properly. ← >Pregnant? Your seat belt is your baby’s first car seat! Make sure you know how to wear it right! 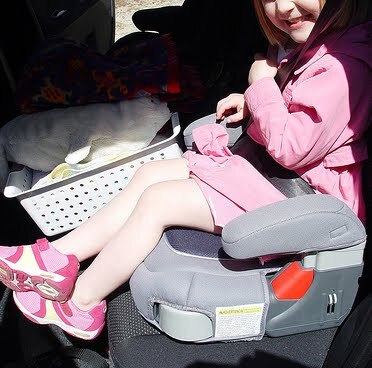 >I see two mistakes on the girl:Lap belt not under the arm and across the red plastic belt path and no screw to hold the armrest in (unless this is the newer model that Graco said wouldn't need the screws but we've not seen that on the West Coast yet.Two mistakes on the boy:Vehicle head restraint not adjusted to provide whiplash protection and shoulder portion of the belt is over, not under, the armrest. 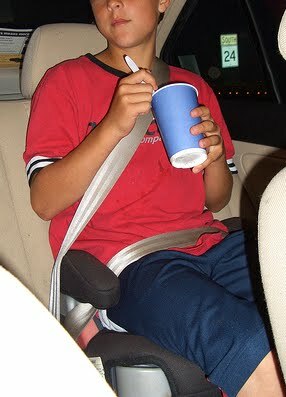 >Picture 1 – Head restraint too low. Shoulder belt not routed properly through guide on arm rest.Picture 2 – Seat belt not routed through guide on arm rest. Projectiles!